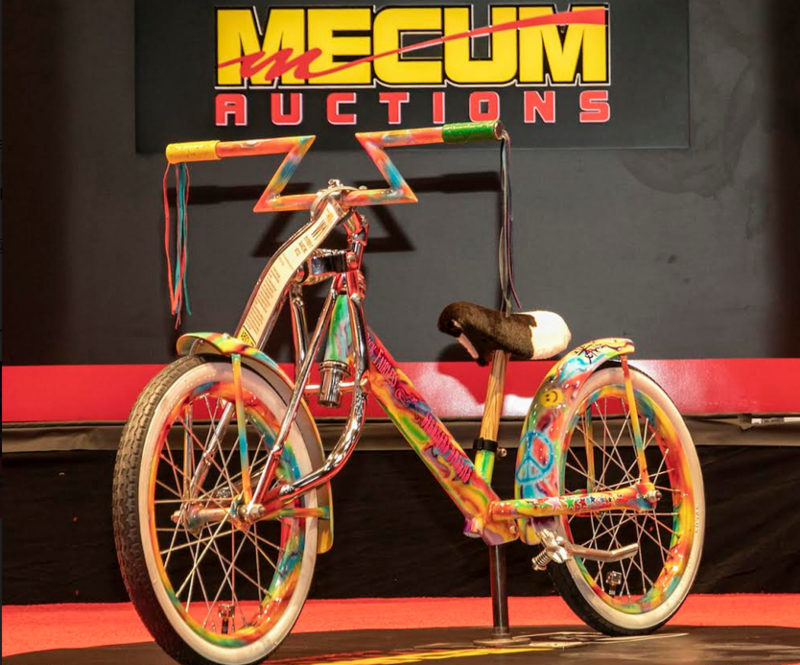 Buffalo Chip, SD, February 8, 2019 – When seven 12-inch tall custom balance bikes crossed the auction block in Las Vegas on Wednesday, January 23rd they stopped the show! Built in 2018 by a Flying Piston Benefit program that supports new ridership and career-path jobs for veterans, the bikes were donated by Strider Sports, Int’l. and sent to custom motorcycle builders who’d agreed to modify them. The inaugural class of Strider customs were unveiled at the 4th annual Flying Piston Benefit Builders Breakfast held at the Sturgis Buffalo Chip on August 5th, 2018. Stepping up to customize the first ever Strider customs were: Rick Fairless, Strokers Dallas; Paul Yaffe, Bagger Nation; Kirk Taylor, Custom Design Studios; Jody Perewitz, Perewitz Cycle Fabrication; Pat Patterson, Led Sled Customs; Bryan Fuller, Fuller Moto; and alumni of Motorcycle Missions, a charity that aids U.S. military veterans dealing with PTSD who are pursuing careers in motorcycling – and beneficiary of proceeds from Flying Piston Beneift. Proceeds from the Flying Piston Benefit have contributed almost $17,000 to Motorcycle Missions and tech ed scholarships.